Saturday night at 7 pm ET on ESPNU, the University of Cincinnati Bearcats host the South Florida Bulls inside Nippert Stadium. The game will be a nighttime whiteout. Both teams stand at 3-1, looking to pick up a crucial first conference W. South Florida’s lone loss on the year came last week at the hands of Florida State. ​UC leads the all-time series 8-5 and is 5-1 at Nippert. Last year, the Bulls ran over UC at the end of the year, 65-27. Admittedly, this is the only UC football game I have ever watched on TV that I actually moved the plate of chicken wings off my belly, got up off of the couch, and then turned off the TV out of anger (and then finished my chicken wings obviously). By the time UC played South Florida last year, it was clear the season was a disappointment, and the lack of effort and energy showed on the field. If UC is in need of any motivation for this game, the drubbing the Bearcats took in 2015 is sure to light a fire underneath the team. Coach Tuberville said the coaches have spoken about the 2015 game a lot and gone over film repeatedly. ​This year should be a much different game, largely due to a changed defense. To say the defensive coaching staff has flipped the script would be an understatement. UC’s defense has already forced 13 turnovers (10 picks and 3 fumble recoveries), which leads the country. The Bearcats are tied for 1st in the country with 10 picks so far in 2016. To put this in perspective, in all of 2015 the team had 14 turnovers. Let me repeat this – UC’s defense is #1 in the FBS in creating turnovers! While UC is still giving up plenty of green through the air, this is a sacrifice I am ok with because we are stopping the run and forcing turnovers. While USF is averaging 46 points per game, they are giving up 240 yards on the ground, tied for 118th in the country. Look for Tion Green and Mike Boone to help steady the UC offense on the ground and open up the play action game, as the Bearcats did against Purdue. The ability of UC to run is vital to open up the passing game. ​Both of the Bulls running backs average over 6 yards a carry, and the Bulls QB Quinton Flowers is also a danger running the ball. For UC to have success, the defense must shut down the threat of a running QB and hold the Bulls rushing attack well below 6 yards a carry. ​USF’s man under center Flowers is only completing 50% of his passes. He’s thrown 8 TDs to 3 interceptions. Look for the opportunistic UC defense to add another pick or two. ​Hayden Moore is likely to start at QB. After sitting out the entire Miami (OH) game to heal his ankle sprain, Moore should be good to go. But Coach Tuberville made it clear this week – if Hayden can’t perform the running plays, Ross Trail gets the nod behind center. On the bright side, Trail now has his first collegiate start under his belt and has eliminated the butterflies and jitters. If needed, Trail now has real game experience, although South Florida is a much more athletically gifted opposition. As far as Florida connections go, 16 UC players hail from Florida. Tshumbi Johnson’s brother D’Ernest Johnson is a junior running back for the Bulls. There will be a lot of familiar faces entering Nippert for both teams. ​UC at home + the motivation factor from last year = a Bearcats win. 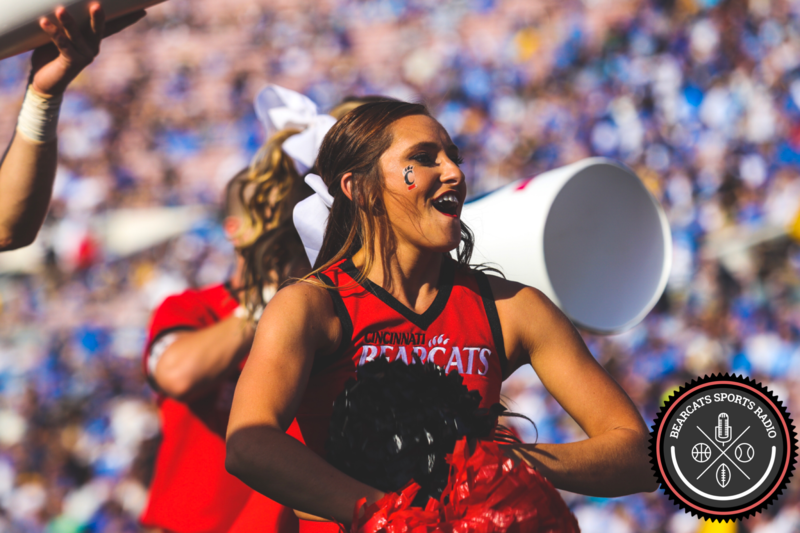 We predict UC will get its first AAC win of the season, 35-24. We have confidence regardless of whether Hayden or Ross starts.